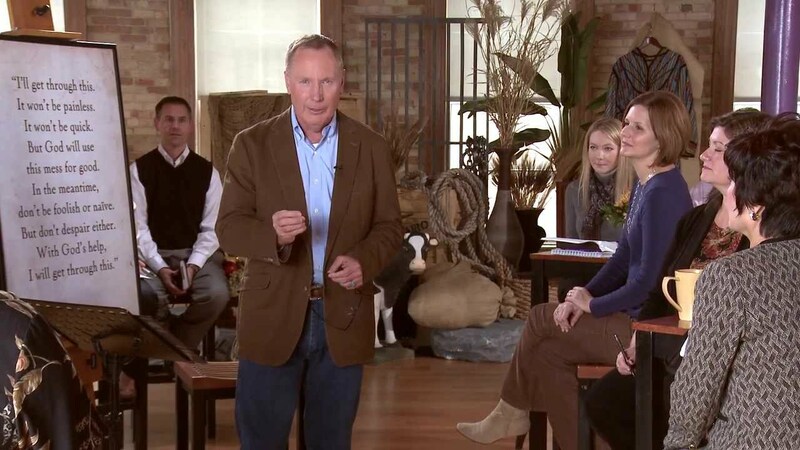 You’ll Get Through This small group Bible study by Max Lucado. In the You’ll Get Through This small group Bible study, Max Lucado offers hope and help in your turbulent times. You fear you won’t make it through. We all do. We fear that the depression will never lift, the yelling will never stop, the pain will never leave. In the pits, surrounded by steep walls and aching reminders, we wonder: Will this gray sky ever brighten? This load ever lighten? In this six-session small group Bible study, pastor and New York Times best-selling author, Max Lucado offers refreshing assurance. Max reminds participants God doesn’t promise that getting through trials will be quick or painless. It wasn’t for Joseph—tossed in a pit by his brothers, sold into slavery, wrongfully imprisoned, forgotten and dismissed. But his Old Testament story is in the Bible for this reason: to teach us to trust God to trump evil. Designed for use with the You’ll Get Through This DVD. With more than 100 million products in print, Max Lucado is one of America’s favorite writers. He serves the Oak Hills Church in San Antonio, Texas, where he lives with his wife, Denalyn, and a sweet but misbehaving mutt, Andy. Thanks for sharing! I needed this. I have had several losses in the last several years and am just now coming out of what I call a Funk. Just didn’t want to leave the house for over a year. This is a wonderful inspirational video! My family is in this type of turmoil, sibling against sibling, hatred and strife, and like the children of Jacob ( chosen by God), my family , each have made a personal decision of taking Jesus as Savior, they are children of God, chosen by God , just as Jacob’s children. Yet, a horribly dysfunctional. Human beings. Sin stained. And like Satan tried then to weave evil to destroy the lineage of Christ, Satan is trying to weave evil in my family. But Glory to God , I do believe that God will take this and weave it into something good. He has promised that He the work He began in each of us at salvation, He will complete. He will conform each of us to the image of His dear Son thru the lessons He chooses to allow in our lives. This was something I needed ( as the widowed mother) to hear. Thank you Max Lucado. This is so good! “We fear we will not get through this. That is one of the challenges of life”. I can say that this is one of greatest challenge right now. I am in pain. I lost my old life, a life that I loved. Even though my cancer is gone, the effects of the treatment is still on me, I can barely speak. I am tired. God will work this mess out for my good. This is a perfect chance to train me. I love what he is saying and I believe it in faith in God.